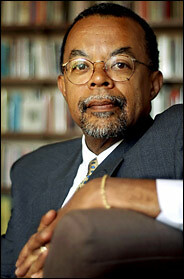 The following PBS interview with American Professor Henry Louis Gates,Jr. makes very interesting reading and helps not only register the demographics of south America but the level of racism faced by blacks on the continent. This PBS interview was originaly posted via Repeated Islands. Again another fascinating article on the plight of people of African decent in Latin and South America. With the Favelas in Rio de Janeiro and people of African decent clearly not in positions of power. With Brazil growing in economic power that will hold both the Olympics and the Football World Cup, more needs to be done!!! !